That’s what I wanted - the whole glitzy, adoring pinnacle of author recognition. From the first time I committed pen to ruled notebook paper a lifetime ago, the first time I submitted a hand-typed manuscript in a box to some unknown face in NY who was going to recognize my genius and make me that star! As I sold more books and my contracts got bigger, I gave talks on setting those high goals as carrots to dangle and chase relentlessly. Then I got a taste of that dream and a hard look at what it would cost to reach and sustain it. Like many (heck, most!) 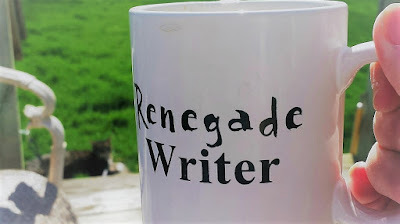 writers, I’m a recluse, an OCD/ADD introvert who likes a small world I’m in control of. The very idea of a hoard of strangers, constant smiling and spotlights scares the snot out of me, but I did those things because I wanted that dream. I did interviews on camera, gave national workshops to full houses, smiled my way through signing hundreds of book copies at marketing events, did an anxiety-filled multi-state publicity book tour my publicist set up and paid for, stood on stage to accept a lifetime achievement award, spent hours I could have been writing to frantically try to keep up with new social medias springing up everywhere, making myself an exhausted, frustrated wreak who kinda wanted to spend a weekend once in a while sitting out in the back yard with the cat, reading a book I wasn’t promoting and not getting up at 4:30 am every single day for 70+ books and 30-odd years. It took a sidelining knee replacement (with really good drugs) and a workshop on making a business plan to get me to relax enough to REALLY think about the career I wanted to sustain for the rest of my writing years. 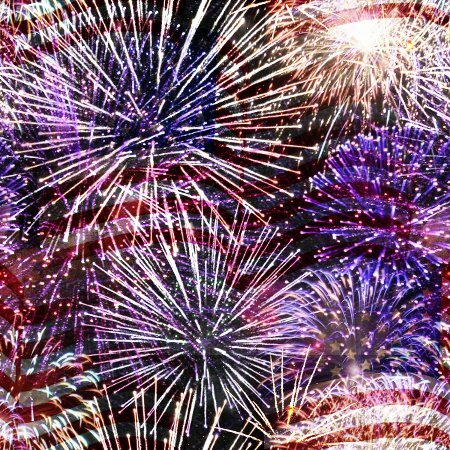 All the glitzy, stressful, ooooh shiny things fell away. All I really wanted to do all these years later was still the first dream I ever had. I wanted to write books I enjoyed and make a living doing just that - an enjoyable supplement income from the one thing I couldn’t NOT do. It’s still work and plenty of it, and none of it is easy, but cutting away the false trimmings of a success I really didn’t desire gives me the freedom to enjoy it again.And it’s enough for me. So, to those who chase that brass ring of stardom – good for you! Go for it if it’s your dream. I’ll be cheering you on in the backyard with my cat on my extra day off, drinking coffee and dreaming plot dreams before heading in to my WIP. After sleeping in until 6! Happy 4th for those of you celebrating!! Posting: The first Wednesday of every month is officially Insecure Writer’s Support Group day. Post your thoughts on your own blog. Talk about your doubts and the fears you have conquered. Discuss your struggles and triumphs. Offer a word of encouragement for others who are struggling. 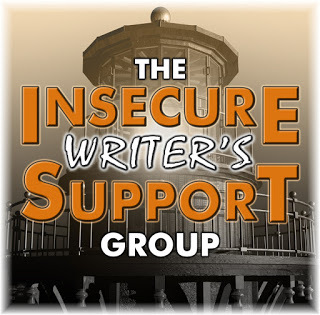 Visit others in the group and connect with your fellow writer - aim for a dozen new people each time.The awesome co-hosts for the July 3rd posting of the IWSG will be Nicki Elson, Juneta Key, Tamara Narayan, and Patricia Lynne! Great reality check, Nancy. I, too, am a recluse and an OCD/ADD introvert who likes a small world I’m in control of. I just left a profession of 70-hour work weeks and always being "on." I'm done with that life, and can finally just concentrate on my writing. You've certainly paid your dues - enjoy your down time! Lucky you, Lee! I've still got 32 hour work week and a 30+ writing week but just getting a Friday off has made a world of difference. Holding out until Medicare eligible then parttime and SS here I come. Hilarious and informative. I will always wonder if the grass is greener on the other side, but for now, I will enjoy my cats and my yard. The grass is quite green here as well. I believe that's over the septic tank. Someone else's heaven is not always our ideal. We make our own. Nice to hear from someone who's experienced both sides of the industry, Nancy. I thought maybe something was wrong with me because I've never wanted all the hoopla, & I break out in hives at the thought of speaking in front of large crowds. I've never been a big fan of shiny, glitzy things. I'm never quite sure whether they're the real deal or fool's gold. Either way, I'm happiest when left to enjoy my own little version of paradise where the brightest night lights are the moon & stars, and I'm free to sit in my porch swing with pen & paper, sip coffee or sweet iced tea, and plot murder...of my book villain, of course! As always, you're an inspiration to writers everywhere, Nancy. Thanks, Sandra! Taking the pressure off is a real revelation and a relief but will it last . . . who knows. That's the ult!!! Such a thrill. I was JUST saying to my sister that the nice thing about not ever reaching financial success w/ my books is that I don't feel the pressure to do anything but enjoy writing at my own leisurely pace and ignore the business side of things. It's great that even with all of your success, you were able to step your writing career back to exactly where you wanted it and didn't let yourself be trapped by what others may think should be your goal. You're an inspiration. Business takes away from the pleasure so I try to do only what I enjoy (and some of it, I confess, I really to do!). You listed my desires, too. As much as that Big Life is what we think we want, sometimes it's out of reach. Do we cry because we didn't get our way or do we buckle down and keep trying? Or a little of both. I try my best and that's all I can do. Pass me a cup of that coffee. Wow, I enjoyed reading your story. Thank you for visiting my blog. You certainly present something to think about for introverts who really don't want that high attention. FYI your link to this post from FB doesn't work. It did get me to your site where I searched the name of post you included on FB and I found it. Thought you might want to know.